Manufactured using traditional overlap board construction to encourage rainwater run-off. Timber has been Pressure Treated to give you a 15 year guarantee against rot. Glazed double doors allow easy access into the summerhouse and helps flood the interior with natural light. The windows are glazed with shatter-resistant acrylic, a lightweight, safer alternative to glass. Pressure Treated solid boarded timber floor for better weight-bearing capabilities. Scalloped barge boards and decorative finial give a traditional, attractive finish. 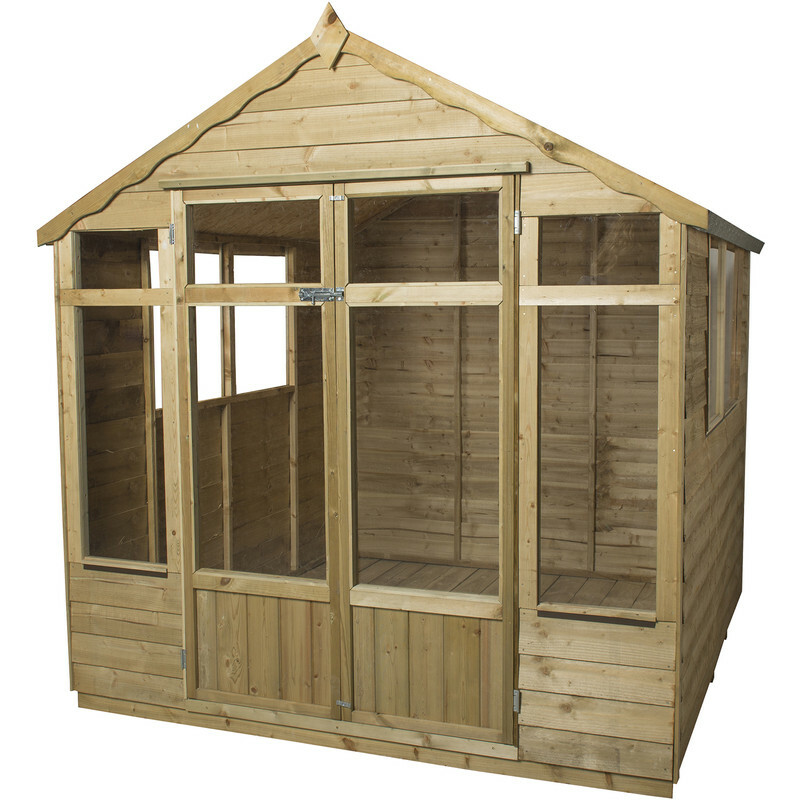 Made in the UK and manufactured from FSC certified timber from sustainable sources. Delivered flat packed for easy self-assembly. • Whilst we aim to deliver within 5 days there may be some instances where it may take longer, for example hard to reach locations including some parts of Scotland. • Home Delivery is unable to be offered for the following postcodes, BT, GY, HS, IM, IV41-51, IV55-56, JE, KA27-28, KW15+, PA41+, PH41-44, PO31-41, ZE.